The cheapest business class flights to Vancouver from London we found for a client in the past month were for an amazing £1,429 return. To get today’s best price simply complete the form on this page and we’ll get back to you quicker than you can say Capilano Suspension Bridge! Air Transat, Air Canada and British Airways have direct business class flights to Vancouver from London. Air Canada operates a Boeing 777 on the route with the airline’s International Business Class product. At Heathrow you’ll have access to the airline’s Maple Leaf Lounge, which is incredibly comfy and stocked with snacks, including fresh fruit, muffins and cheese, as well as hot dishes and a panini station. On-board the aircraft the seats are arranged in a reverse herringbone layout and recline to become fully-flat beds. The entertainment screen is much larger than on British Airways, measuring a very generous 18 inches. 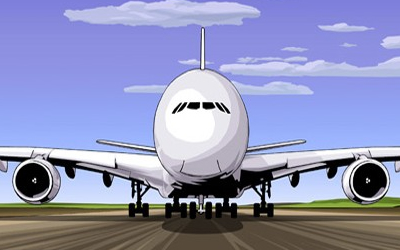 British Airways utilises an Airbus A380 and a Boeing 747 on the route, with a journey time of roughly 9 hours 35 minutes. 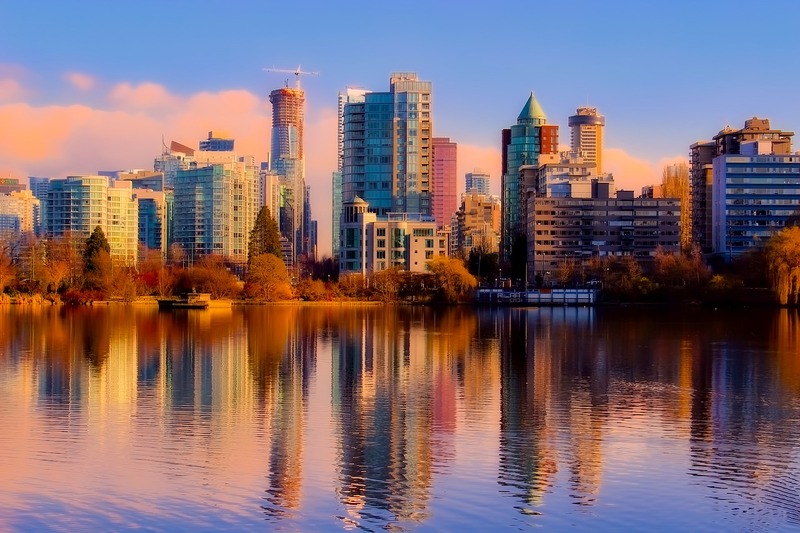 Booking a business class ticket to Vancouver comes with perks such as dedicated check-in, a generous baggage allowance, fast-track through security and priority boarding. You’ll receive a complimentary treatment in the Elemis Travel Spa as well as gaining access to the Galleries Lounge at Heathrow, where you can kick back and relax or hop on the free Wi-Fi. Onboard the aircraft British Airways offers 6 foot-long, lie-flat beds with 10.4 inch entertainment screens and noise cancelling headsets. Luxury bedding is provided by The White Company and features fluffy pillows as well as a luxury duvet. When it’s time to dine, you’ll be provided with a three-course meal and a new restaurant-style service, with starters and desserts presented on display trolleys. Taxis can be hailed outside arrivals and fares are based on a flat rate depending on what zone you’re travelling to. On the return to the airport, or when travelling to destinations outside of the zones, fares are metered. If you’re planing on taking a road trip along the coast or exploring some of Canada’s breathtaking scenery, you may prefer to rent a car to give you more freedom. Companies available at the airport include Hertz, Alamo, National, Dollar Thrifty, Avis, Zipcar and Budget, or you can pick up off-airport car rentals too. The fastest way to get into the city is by taking The Canada Line, Vancouver’s rapid transit rail connecting YVR to downtown Vancouver in under 30 minutes. The trains are centrally located between the International and Domestic Terminals, with the first train departing at 5:07am and the last train departing at 12:56am. Clients taking business class flights to Vancouver often recommend the Rosewood Hotel Georgia, which is one of Vancouver’s most stylish hotels. A 5-star hotel combining the grandeur of the Roaring Twenties with contemporary design. The hotel boasts luxury rooms, a calming spa, heated indoor saltwater pool and fitness centre, along with several dining options. Hawkswood Restaurant serves contemporary Canadian cuisine in a refined atmosphere, where you can indulge in meals made with the best organic ingredients and locally sourced seafood. If you’d like to be located just steps from the harbour, The Loden is a contemporary boutique hotel with 77 rooms and suites offering a warm, residential feel, luxuriously decorated in earthy tones of caramel, coral and chocolate browns. The best thing about this hotel is its personalised service designed to make your stay as comfortable as possible. Expect a nightly turndown service, complimentary Electra-Townie bikes to explore the city and a complimentary drop-off service to take you anywhere downtown. Granville Island – Granville Island is a peninsula and shopping district with galleries, theatres and a fantastic indoor market selling fresh produce. This former industrial site was regenerated and is now one of Vancouver’s top attractions. Make sure you pop into Granville Island Brewing Company, British Colombia’s oldest brewery, for a pint. Grouse Mountain – Located just 15 minutes from the city centre, Grouse Mountain is popular with skiers in the winter months and hikers in the summer months. Take the SkyRide gondola up the mountain where you can catch a fantastic view of the surrounding mountains and the city below. Gastown – Gastown is Vancouver’s oldest neighbourhood, boasting Victorian architecture and a thriving fashion scene. This trendy area is best explored on foot, so take a stroll along the cobblestone streets and visit the famous Steam Clock, before trying out one of the many restaurants in the area. British Citizens need an Electronic Travel Authorization (eTA) to fly to or transit through Canada – your passports must be valid for the entire duration of your stay. Vancouver has a temperate maritime climate with four distinct seasons, so what you pack will depend on what time of year you’re visiting. Summertime is the most popular time to visit Vancouver, when the city experiences clear, sunny skies and warm weather (normally about 22 degrees Celsius in July and August). Night times can be cool though, so don’t forget to pack a jacket no matter what season you’re visiting. In winter the weather tends to be cold and wet rather than snowy, but if you’re heading to the ski resorts then you’ll obviously want to pack some ski gear. To get the best cheap Business Class flights to Vancouver, simply complete the form on this page or call 0044 207 255 1234 to speak with one of SkyClub’s fast and friendly experts. We will find you special, discounted fares that are not available online. So, by the time you take your business class flights to Vancouver, you’ll feel happy knowing that you’ve paid less than the person seated nearest to you! Have a great trip and – if you want to save money – please book with SkyClub.